An artist and teacher for over 35 years, Deborah Rockman is Professor of Art in the BFA and MFA Drawing programs at Kendall College of Art and Design. In 1992, she was the first woman and the youngest person ever to be awarded the rank of full professor in the history of Kendall College. Rockman’s award-winning work in drawing, collage, mixed media, and digital media has been exhibited in numerous group and solo exhibitions at venues throughout the United States and China, including ARC Gallery (Chicago), Artemisia Gallery (Chicago), Rockford Art Museum (IL), South Bend Museum of Art (IN), Fort Wayne Museum of Art (IN), Cabrillo Gallery (CA), Midland Museum of Art (MI), Peninsula Fine Arts Center (VA), Contemporary Arts Workshop (Chicago), Ontario College of Art and Design (Canada), and Meilidao International Art Institution in Shanghai, China. Rockman has been awarded fellowships to a number of artists-in-residence programs, including The Radgale Foundation (IL), The Virginia Center for the Creative Arts (VA), Cummington Community for the Arts (MS), Mary Anderson Center for the Arts (IN), and The Vermont Studio Colony (VT). She has lectured by invitation at national and international venues, including The Fifth Congress of the Americas in Puebla, Mexico, the 93rd Annual College Art Association (CAA) Conference in Atlanta, the 90th Annual College Art Association Conference in Philadelphia, the 83rd Annual College Art Association Conference in San Antonio, and the MAEA Statewide Conference in Grand Rapids, Michigan. She has been a visiting artist at Herron School of Art in Indianapolis, Elon University in North Carolina, Northern Illinois University in Illinois, Bowling Green State University in Ohio, and Coastal Carolina University in South Carolina. She was honored as one of 100 Outstanding Art Alumni at Western Michigan University’s Centennial Celebration. 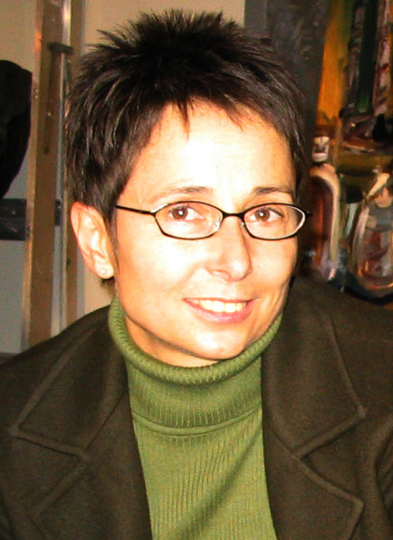 In 2008, she was invited to exhibit in The Figure Revealed: Contemporary American Figurative Paintings and Drawings at the Kalamazoo Institute of Arts. In 2008, 2005, and 2000 she was awarded Best of Show in the Regional Juried Art Exhibition at Muskegon Museum of Art. In 2006, she exhibited in the 2006 Biennial: Contemporary American Realism at the Fort Wayne Museum of Art in Indiana. She has been honored with three retrospective exhibitions of her work at the Midland Museum of Art in Michigan, Kendall College of Art and Design in Michigan, and Coastal Carolina University in South Carolina. In addition to her studio work, which explores social/cultural critique, Rockman is the author of two books - The Art of Teaching Art and Drawing Essentials: A Complete Guide to Drawing, both published by Oxford University Press and translated into Chinese and Turkish. She recently completed work on the 3rd edition of Drawing Essentials. It will be released in February of 2016 and is available through Oxford University Press and Amazon.com.